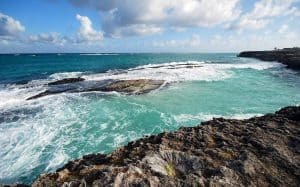 Barbados is a very beautiful island, with lots of art, activities, night life, music, history and some of the best restaurants to be found anywhere. But what makes Barbados even more special, and the reason why so many visitors keep returning to the island year after year, is the people. 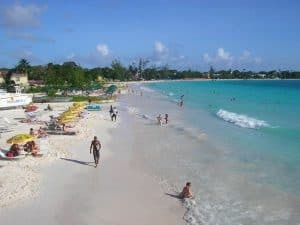 To learn more about all the beautiful beaches on Barbados, visit here. Now view our Barbados Travel Guide to help plan your next Caribbean vacation! 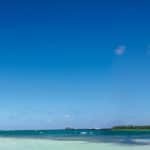 Barbados enjoys a tropical oceanic climate with north-east Trade Winds keeping temperatures relatively cool most of the year. The dry season runs from December – May and is not unbearably hot. Some cooling north-easterly Trade Winds present with some brief rain showers. The rainy season (hurricane season) runs from June – November. Hurricanes usually miss Barbados, because they come off the African Coast travelling north towards the rest of the Caribbean. April is the hottest month with an average temperature of 81°F and the coldest is January at 79°F. Barbados is busiest in the high season, which extends from December 15 through April 15. Off-season hotel rates can be half of those required during the busy period. During the high season, too, a few hotels may require you to buy a meal plan, which is usually not required in the low season. As noted in the listings, some hotels close in September and October, the slowest months of the off-season, for annual renovations. Some restaurants may close for brief periods within that time frame as well. Nearly all visitors will enter the country through Grantley Adams International Airport or Bridgetown’s cruise-ship terminal. All foreigners entering Barbados should be in possession of a valid passport and a return or onward ticket. Although it’s not often enforced, officers may ask for proof that you have a ticket back to your country of origin or residence. So if you are island hopping, show that you intend to eventually return home, and if you live outside the country of your passport, have your residency permit with you. Visas are not required for citizens of the US, Canada and most European and Commonwealth countries. You can fly nonstop to Barbados from Atlanta (Delta), Boston (JetBlue), Fort Lauderdale (JetBlue), Miami (American), and New York–JFK (JetBlue). Caribbean Airlines offers connecting service from Miami and New York via Port of Spain, Trinidad, but this adds at least two hours to your flight time even in the best of circumstances and may not be the best option for most Americans. 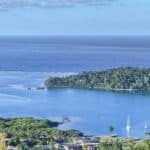 Barbados is also well connected to other Caribbean islands via LIAT. Barbados doesn’t have many car-rental agents affiliated with major international rental chains. There are, instead, scores of independent car-rental companies, some so small that they’re based out of private homes. Previously it was common for companies to rent out strange, small convertible cars called ‘mokes’ (they look like the odd car in Fantasy Island), which don’t have doors. These are an acquired taste and small economy cars are more common now. Rental cars are marked with an ‘H’ on the license plate. While most car-rental companies don’t have booths at the airport, they will often deliver your car there or to your hotel. Remember to drive on the left in Barbados. At intersections and narrow passages, drivers may flash their lights for you to proceed. Taxis have a ‘Z’ on the license plate and usually a ‘taxi’ sign on the roof. They’re easy to find and often wait at the side of the road in popular tourist areas. Although fares are fixed by the government, taxis are not metered and you will have to haggle for a fair price. It’s possible to get to virtually any place on the island by public bus. There are three kinds of bus: Government-operated public buses which are large and blue with a yellow stripe; privately operated minibuses painted yellow with a blue stripe; and route taxis which are individually owned minivans that have ‘ZR’ on their license plates and are painted white. Bus stops around the island are marked with red-and-white signs printed with the direction in which the bus is heading (‘To City’ or ‘Out of City’). Buses usually have their destinations posted on or above the front windshield. A somewhat hidden gem that is the antithesis of its American namesake. Small, shady and intimate, it’s well removed from the often frenetic south-coast pace. The beach is divided into two sections by a rock breakwater. The west side is one of the premier swimming spots on the island, with deep, calm and crystal-clear waters, while the east side has a wide recreation area featuring picnic tables under shady evergreen pines and almond trees. Well off the beaten track, the pint-sized Shark Hole is one of those special places for which your selfie will not do justice. Down a short flight of steps, a small stretch of delicate white sand is totally enclosed by rocks that wrap around 300 degrees, forming a perfect secluded cove. A reef just offshore calms the water, creating a perfect natural saltwater swimming pool. Located on the southwestern coast of Barbados, Carlisle Bay’s beaches offer calm waters, making this an ideal place to swim. The bay’s six shipwrecks also make this area a great spot for snorkeling. Marine animals you may see while exploring these gentle waters include rock lobsters, turtles and fish. 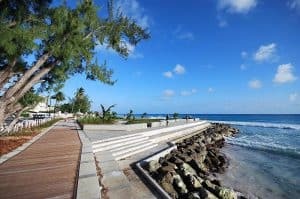 Though Barbados offers an array of beaches to enjoy, one the island’s most popular attractions is the Barbados Boardwalk. Situated less than 4 miles south of Bridgetown, this coastal boardwalk connects Accra and Camelot beaches. In addition to providing outdoor enthusiasts with scenic ocean vistas, turtles and crabs are known to visit the adjacent waters. For the best views, plan your visit at sunrise or sunset. One of Barbados’ most popular attractions is Harrison’s Cave. 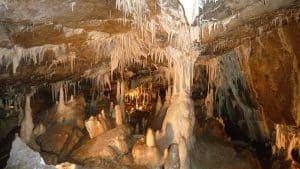 This limestone cavern features several streams, as well as stalactites, stalagmites and other kinds of calcite deposits. The cave sits in the middle of the country about 5 miles from Holetown and Bathsheba Beach. Barbados most Exclusive, Private and Personalized Catamaran Sailing Cruises – they limit themselves to 12 guests only to give you that special, pampered feeling you deserve on your holiday. Join them for an unforgettable, relaxing cruise on their catamaran. Snorkel and swim with the turtles, explore the reefs and wrecks. Taste their superb local Bajan lunch, hors d’oeuvres and cakes. Not to forget our special rum punch. For more information call 246-826-4048, or visit them on the web at Calabaza Sailing Cruises. Silver Moon is the original luxury catamaran operator in Barbados. They charge a little more than the competitors, but cater exclusively to small numbers. This means you get more room to relax and extra attention from their staff who will cater to your every need. 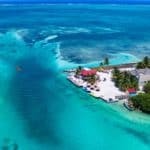 Every day they serve a full buffet lunch featuring Barbadian specialties, their home-made rum punch, and unlimited beverages and blended drinks all day long. For more information call 246-435-5285, or visit them on the web at Silver Moon Charters. They invite you to compare their turtle tour with any other tour boat listed on Trip Advisor at a fraction of the cost minus the frills. They welcome others who have done tours on other tour boats to repeat the turtle tour with them and see the difference. Compare their underwater photography with any other tour boats listed on Trip Advisor. Non swimmers welcomed. Step by step snorkeling instruction. For more information call 246-259-6906, or visit them on the web at Cliff Sharker. Christian has been surfing for 26 years and teaching for 10. He teaches all the lessons himself, and safety is Priority #1. He keeps his groups small and uses a GoPro camera on every lesson to record each student riding the waves. Includes: South Coast transportation, surfboard, bottled water and GoPro video footage. 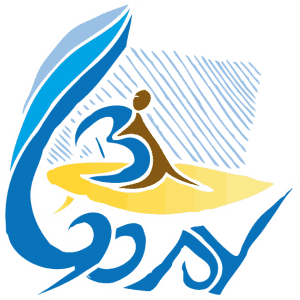 For more information call 246-267-3182, or visit them on the web at Boosy’s Surf School. With the maximum of 14 guests Elegance sails from the center of Bridgetown every day. 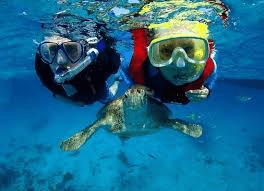 They supply you with free underwater photos of your experience of swimming with the turtles, so no worries on having an underwater camera and they are located just 5 minutes away from the port. Return taxi transfers are included, so go swim with the turtles and snorkel over the magnificent shipwrecks before sailing along the prestigious West Coast. 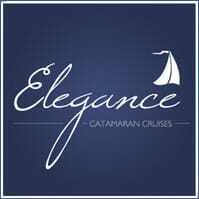 For more information call 246-830-4218, or visit them on the web at Elegance Catamaran Cruise. Brown Sugar has perfected the art of Sunday lunch — a local tradition of gathering with family and friends in the early afternoon, usually over a home-cooked meal. With an extensive buffet, there’s a lot to choose from, including rice and peas and pepperpot, but save space on your plate for the macaroni pie. Reservations fill up fast, so call ahead. For more information call 246-426-7684, or visit them on the web at Brown Sugar. Whether you’re planning to have lunch or dinner, arrive hungry and expect to leave stuffed. If you’re looking to save room for dessert (you should), order the mini fish cutters: sandwiches often served on hamburger buns with various fillings, accompanied by a salad. Whether you keep your meal light or opt for a full entrée, end with the bread pudding. For more information call 246-434-3463, or visit them on the web at Champers. Drive too fast leaving the Animal Flower Cave and you might miss this seaside restaurant along the coastal highway. Located on the the premises of the Little Good Harbour Hotel, the Fish Pot is perfect for afternoon lunch. As the name implies, fresh fish is the go-to here, whether added to a salad or mashed potatoes or served pan-fried or grilled as a main. If you’re not in the mood for fish, try the curry. Want to get back down to the west coast quickly after your meal? Step gingerly onto the floating dock and into the boat taxi. For more information call 246-439-3000, or visit them on the web at Fish Pot. Seaside at the Crane hotel in St. Philip, this spot has plenty of breakfast options suited to any mood. The hearty Crane Breakfast, which includes flying fish, baked beans, and salted bread, is a sure thing. While there are breakfast options everywhere on Barbados, L’Azure is among the best for its variety and ambiance. One note: Make sure you call ahead. Depending on the occupancy, the a la carte menu is replaced with a buffet and the food offerings don’t always overlap. For more information call 246-423-6220, or visit them on the web at L’Azure at the Crane. With options to dine both indoors and out, the Tides is one of the most beautiful restaurants on the west coast, also known as the “platinum coast.” The chicken Thai curry is a feast for the eye and palate — served in a coconut shell with slices on top, the curry has a perfect amount of heat, and the accompanying basmati rice arrives perfectly cooked. In Barbados, you can never go wrong with bread pudding, and the version at the Tides is no exception. The two-course set lunch option for BBD $75 is a great deal for one of the best meals on the island. For more information call 246-432-8356, or visit them on the web at The Tides. 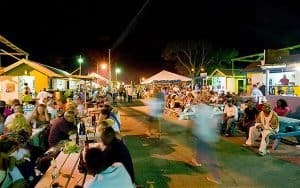 Every Friday evening, the fishing village of Oistins lays on a big street party, which is enormously popular with locals and tourists alike. Along from the fish market, ladies preside over their wooden huts, grilling and frying swordfish, mahi-mahi, snapper and flying fish. Mo’s, next to the main stage, is a good choice, as it also does lots of local side dishes. There’s plenty of drinking too, plus deafening calypso and reggae, and everyone from teenagers to OAPs dancing the night away till late. Saturdays are also usually lively. Other nights, many stalls do food and some bars are open, but it’s more locals liming and playing dominoes, not a party atmosphere. For more information visit Barbados.org. This is a chic cocktail bar/restaurant in a chattel house on the road behind Paynes Bay on the west coast, with scarlet and black décor and pop art of Marilyn Monroe and Jackie Kennedy. There’s a long list of interesting cocktails – mojitos are a specialty. 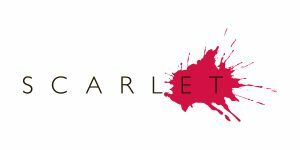 For more information call 246-432-3663, or visit them on the web at Scarlet. 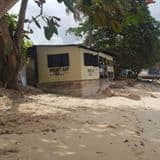 Of the many hundreds of rum shops – tiny, sociable local bars – on Barbados, this one is quite possibly the most idyllically located. While the main bar room to the front faces the west coast road, makeshift tables in the ramshackle building out the back are right over a perfect tranche of untouristy beach. Friendly, with a bus stop outside. For more information visit call 246-422-2258, or visit them on Facebook at John Moore Bar. A large-scale, open-air nightclub backing on to the beach just south of Bridgetown. On Mondays and Wednesdays, there’s a Beach Extravaganza Dinner Show, which includes a band and live acts (limbo dancing, fire eating, acrobats, with lots of audience participation). On Fridays, and later on Wednesdays, it’s more of a conventional club, with DJs. All very touristy, but it’s in a lovely setting, good fun if you’re in the mood, and the place is pretty well run. 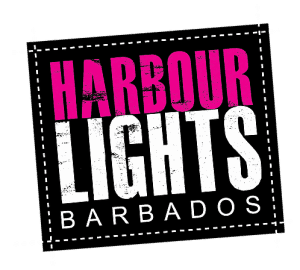 For more information call 246-436-7225, or visit them on the web at Harbour LIghts. St. Lawrence Gap is a perfect contradiction. A bustling street that runs alongside a quiet and calm bay. High end restaurants that rub shoulders with karaoke bars and old rum shops. For more information the St. Lawrence Gap, visit Barbados.org. Featuring free WiFi throughout the property, The House Adults Only by Elegant Hotels offers accommodations in Saint James. The hotel has a hot tub and water sports facilities, and guests can enjoy a meal at the restaurant or a drink at the bar. Free private parking is available on site. For more information, pricing, or to reserve your room, visit The House Adults Only by Elegant Hotel. This property is 1 minute walk from the beach. Featuring free WiFi and air conditioning, Yellow Bird Hotel is located in Christ Church. Silver Sands is 5 miles from the property. Free private parking is available on site. Yellow Bird Hotel also includes a year-round outdoor pool. Guests can enjoy a meal at the on-site restaurant or a drink at the bar. For more information, pricing, or to reserve your room, visit Yellow Bird Hotel. Located in Saint James, 11 miles from Silver Sands, Waves Hotel and Spa by Elegant Hotels features air-conditioned rooms with free WiFi throughout the property. The hotel has a year-round outdoor pool and views of the sea, and guests can enjoy a drink at the bar. Free private parking is available on site. For more information, pricing, or to reserve your room, visit Waves Hotel & Spa by Elegant Hotels. This property is 1 minute walk from the beach. Located in Saint James, 14 miles from Silver Sands, The Fairmont Royal Pavilion Barbados Resort features a sun terrace and fitness center. Guests can enjoy the on-site bar. Free private parking is available on site. For more information, pricing, or to reserve your room, visit The Fairmont Royal Pavilion Barbados Resort. Located in Christ Church, Inchcape Seaside Villas features free WiFi, a garden and sun terrace. Silver Sands is 1.3 miles from the property. Free private parking is available on site. Bike rental is available at the property and the area is popular for biking. Bridgetown is 8 miles from Inchcape Seaside Villas. For more information, pricing, or to reserve your room, visit Inchcape Seaside Villas. Great article. I always wanted to go to Barbados and this is the perfect information I need. I have been to a lot of places in the Caribbean but not this one. You have made up my mind for me! Thanks for the great tips. 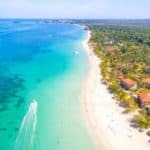 I am glad I could help you decide on Barbados, and that the Barbados Island Travel Guide provided you with everything you needed to help with the planning of your next Caribbean Island vacation. Let me know if you have any other questions. Wow, thank you very much for this review. It is very detailed. We have been saving up for a family vacation and were deciding between Hawaii and Barbados. 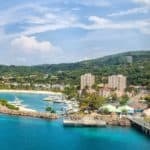 I think we will go with Barbados first after reading this article. I have a Q: do the peak and off-peak hotel prices vary too much in Barbados? We may decide to travel after the December rush season. TIA. Hi Ami and glad you have decided on the beautiful Caribbean Island of Barbados. It will be less expensive, IMO, than Hawaii. Yes, the prices are going to vary quite a bit at most hotels. If you go off season to Barbados, you will save quite a bit! Please let me know if I can help in any way. 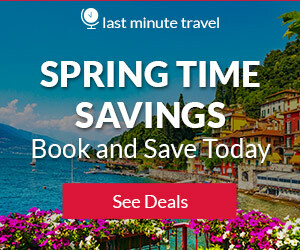 Thanks for visiting BeachTravelDestinations.com! Wow, Barbados looks super nice. Shark Hole – what a name ahah. It is quite cool that you have wonderful beaches but also the Harrison’s Cave, which is a quite different experience. I would love to visit this island. I live in Portugal, and I am curious how long of a flight it will be for me? I would love to visit St Lucia! Ummm…Yes please! Where do I sign up? And can I stay forever?! This sounds absolutely amazing. I would love to check out the Shark Hole. I thoroughly enjoy salt water, but the waves can get annoying. This spot sounds perfect! Boy Nathan, I would like to stay there forever too! And of course, go to shark hole. Last time I was there was on a cruise, not the same at all! I agree, that Barbados is perfect! Glad you agree! 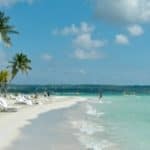 Thank you for visiting BeachTravelDestinations.com! I am fascinated by your description of the Shark Hole and wonder if it has anything to do with sharks appearing in that area? Hi Jude and thanks for visiting BeachTravelDestinations.com! There are no sharks in the Shark Hole like the name implies…thankfully. It does have lots of sea life and is great for snorkeling or diving. Thanks for reading! This looks like one of those incredible places you just have to go to see and take it in. I can already feel the sand between my toes and the umbrella drink that goes along with the experience. It’s cold at home and now I feel like wandering!!! Thanks for the great info. You are very welcome John! Glad you enjoyed reading the Barbados Island Travel Guide. Come back when you are ready to plan your vacation to the wonderful Caribbean Island of Barbados! Wow this looks amazing. The waters look so clear and blue, the scenery is amazing and it has all the activities that my partner and I love to do! How’s the food like in Barbados? Do you get plenty of authentic local food, or is it more tailored for tourists? You have painted such a beautiful picture of Barbados with all of these details — thank you! My husband and I are planning a 25th anniversary trip for next Spring, and considering various options. Although we hadn’t really considered Barbados, the idea of diving shipwrecks and with turtles is really appealing! There’s one thing you mentioned that I’m wondering about — hotels requiring the purchase of meal plans during high season. Are those for their in-house restaurants only, and do they include all meals? I’d hate to miss out on the Otis Fish Fry especially if we choose Barbados for our trip, but wouldn’t want to double pay for meals, either. Thank you for reading the Barbados Island Travel guide Deedee. You would have an amazing time for your 25th Anniversary in Barbados. Not all hotels are going to require the purchase of a meal plan. You just need to be aware of this, and if it something you don’t want, then stick with a hotel that does not require this. There will be lots of hotel choices, not too worry. Especially if you plan in advance. You do not want to miss the Otis Fish Fry! The meal plans can include certain meals, like dinners only, etc. They do involve eating at the hotel though, so I don’t like to stay at a hotel that requires this. I like to venture out and try the various restaurants. Barbados has become as commercial as Hawaii, especially on their West coast. I was there about 18 years ago, BEFORE all these hotels were built. My buddy took videos last year and I didn’t even recognize it, anymore. Certainly the party atmosphere is still great, but don’t look for lonely beaches and romantic evenings. Kind of a shame ! This site is awesome. There is such a wealth of information with regards to Barbados, the places to visit, the resorts, the day and night life as well as the season and peak times to visit. I have never been to Barbados but I hope to visit there this next year. Just watching the YouTube video made me interested and gave me a taste of the liveliness, peace and serenity in Barbados. For myself I prefer to visit the place than just going on cruises. When you mentioned ship wrecks, I am very interested in the history of Barbados as I am sure it goes back many years since its discovery. A job well done for those wanting to visit Barbados. Hi Sam, so glad you enjoyed reading the Barbados Island Travel Guide. Yes, diving and seeing the shipwrecks is something amazing that everyone visiting the island of Barbados should do. Now you are ready to plan….just let me know if you need any additional information. 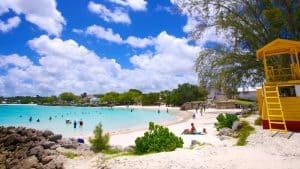 Barbados is one of the islands I enjoyed the most when I visited years ago and reading your wonderful post has brought back memories of Harrison’s Cave, the mouth watering food and the friendly hospitality of the locals. Can you please tell me when the Crop Over street party takes place? Thank you Moni for visiting the Barbados Island Travel Guide. Yes, I love Barbados too, and it has been a while. I am due for a return trip as well! The Crop Over Street party is August 4th thru 6th of 2018. Did you go to this when you were there last time? How fun! I love the pictures. I love the organization of it, and the pictures and videos, and related posts. I have been really interested in visiting Barbados since I had a port call there. I would like to spend at least a week there enjoying the island. So all your information is wonderful. You have made it very easy for me to get everything I need to plan my trip! Thanks ! Thank you so much Bob! I am glad you enjoyed reading my Barbados Island Travel Guide. I am sure that you will have a fantastic time heading back to the island. Yes, visiting off a cruise is nice, but you sure don’t get enough time to really get to know the destination. Thanks for visiting!